The Margaret River region is situated around three and a half hours South of Perth. It is more than a day trip, at least three days would allow you time to discover some of the Sparkling Cellar Doors. This is was not my first visit to Margaret River, but it was the first time I have visited to explore only the bubbles from the region. I love that the area has so much to offer – beaches, towering Karri tree forests, vineyards and rural views, local produce, gourmet food and, of course, the wine. On this ‘research’ trip during February 2018, I enjoyed pleasant mid-twenty degree temperatures, perfect for touring, and the warm days benefited from gentle sea breezes. Sparkling wine is in its infancy in WA, but there are some nice bubbles developing. You can explore the region by self driving, but then there is always the issue of limiting the tastings for the designated driver. This is why I love a winery tour, when someone who knows the area takes you to the best places and will, of course, also be the designated driver. 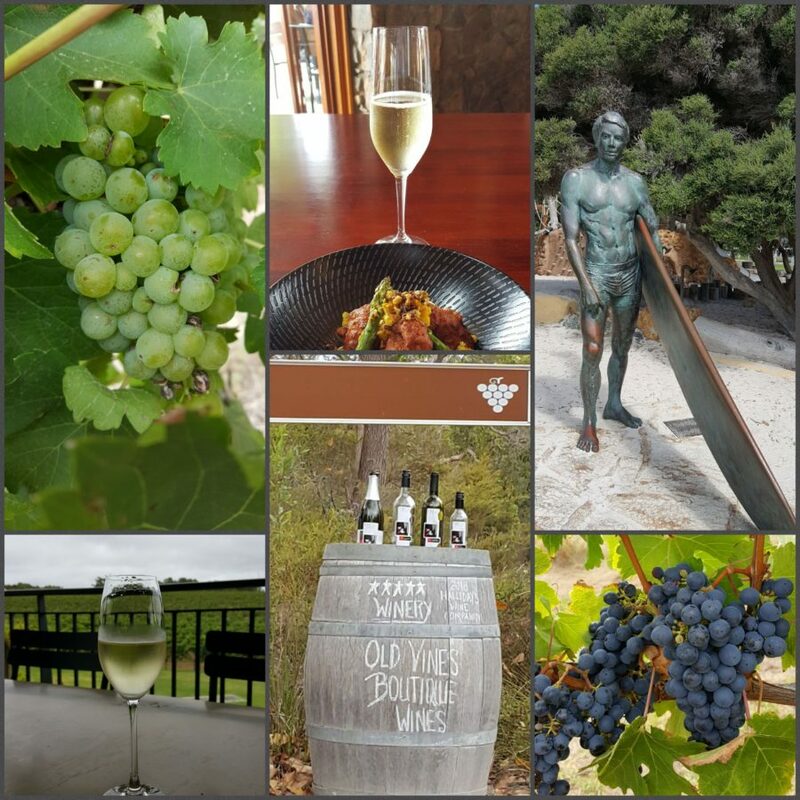 In Margaret River, I was pleased to find a bubbles specific tour – Margaret River Bubbles Tour. With a background as a tradie and ex-rugby player, Mark, the owner, is an unlikely bubbles tour guide. He told me that the idea for the tour company came when he, his wife and a group of their friends visited the area on holidays, only to discover there was no tour catering for bubbles drinkers. An idea was sparked, and a few years later Mark and his wife moved to the area and established Margaret River Bubbles Tour. Prior to my visit, Mark gladly shared information about the wineries that produced bubbles in the area to help me with my planning, and I enjoyed a day out on tour with him experiencing the area. 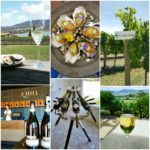 Mark only visits the smaller producers, so you can easily enjoy a few days exploring on your own and fit the day tour into your itinerary to cover some of the boutique wineries. Tours can also be customised to include visits to cheese, chocolates and olive oil, and they have just commenced a new tour featuring whale watching in season. If you have a look at the list of Margaret River wineries, you’ll find over 95 Cellar Doors. Mark told us that even though there are around 130 vineyards in the region, they represent only 1% of the Australian wine market, but around 26% of Australia’s premium wine market. Only around 40 of these vineyards produce a sparkling wine. The geology of the region is the oldest in Australia, and the gravel soils, microclimate, aspect and consistent maritime influence create ideal conditions for the region’s grape varieties. I discovered that only a few wineries had their own sparkling wine facilities, and many of them have their sparkling wine produced locally by John Frazer – Frazer Woods Wines. As I travelled around, many people told me that I needed to meet John. He is an elusive character, but I was told that I could find him at his ‘sparkling shed’. Although it is not open to visitors, I was given directions to follow an old dirt road until I saw a sign that said ‘God’s Farm’, take that driveway and just turn up to see if he is there. I did find ‘God’s Farm’, but John wasn’t there. Instead, his son kindly showed me around and had a quick chat, but he suggested that I make contact with his dad. John kindly contacted me via our website afterwards to provide some more detail for me. When planning your visit, I suggest that you check the Cellar Door websites for opening days and times, as they can change depending on the season. ‘Site of first vineyard and winery in Margaret River established in 1967’ is featured on a large sign as you enter the driveway. Lovely options for food and wine tasting. Wine lounge for charcuterie, cheese and olives, and restaurant upstairs for an interesting menu of dishes featuring local produce. The estate has an Art Gallery and Sculpture park, and all spaces look out over the vineyard, which is quite close to the Indian Ocean. I couldn’t see the ocean, but I could smell the salty sea air as the breeze washed over the vineyard. They have one sparkling, which is the Vasse Felix Blanc de Blancs. I tasted the 2016 Vintage that had recently been released after 18 months on lees, green apple and hints of French oak. The staff explained that the Chardonnay is from a parcel of vineyard in Karridale, which is in the Southern part of the region, and has a cooler climate. The place was busy, but relaxed. You may want to book in advance for the restaurant. Behind the scenes tours are also available for booking on the website. Rustic relaxed atmosphere, open fires, cosy corners and a huge lawn with vineyard views. It is family friendly with lawn games, ping pong table, and tyre swings. Simple menu with local ingredients, woodfired pizza, with a few other options including charcuterie, olives, and arancini. Backyard Stories is the premium label sparkling produced in small batches – NV Sparkling Chardonnay Pinot Noir, which has been aged for two years on lees. Brioche, toast, nutty, fine creamy palate, crisp notes. The Swings and Roundabouts range is a larger production Sparkling NV, which is 100% Chenin Blanc, mid-palate fruit of guava, passionfruit, apples, high acidity. My favourite of the two was the Backyard Stories. This family-owned vineyard, began as a bare paddock, until the family (although not originally from a wine background) planted out vines. The family’s experience and expertise has evolved a lot since then. I met Bronlee, the winemaker. 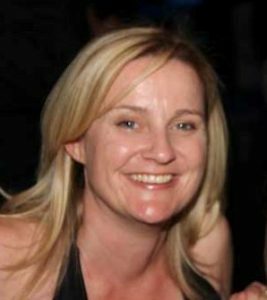 She is the daughter of the owners and grew up here, and she loved it so much she studied to turn winemaking into her qualification and career. Funny enough, her nickname is ‘Bubbles’, so of course there needed to be a sparkling wine, and it is called just that – Bubbles. Brookwood’s bubbles is a blend of Semillion, Chenin Blanc and Sauvignon Blanc. Quite fruity and a bit sweet, it doesn’t take itself too seriously. The bubbles are added and not bottle fermented. For some on our tour, this was their favourite. It has a Zork closure – an imitation cork, one that can be used to reseal the bottle. We enjoyed lunch here as part of our tour – a lovely dining experience on the verandah looking out over the vines. There were lots of bubbles on tasting here. Sparkling is a speciality of this family-owned winery, and they are one of a few to have their own bottling line for sparkling wine. The Howard Park Jeté Brut Blanc NV had recently won prestigious ‘Best Australian Sparkling Wine’ trophy at the Champagne & Sparkling Wine World Championships in London. This accolade has created such a demand for the label that it meant there was none available for tasting on my visit. Their bubbly expertise, however, was evident in the other sparklings on tasting. Madfish Prosecco – released in October 2017, this is their first Prosecco. The grapes are from the King Valley in Victoria. Only available at Cellar Door. Madfish Vera – Traditional method – 18 months on lees. 70% Chardonnay, 30% Pinot Noir. Crisp, citrus fruit and apricot, very dry finish. Jeté NV Brut – as mentioned above, in addition this Jeté range has also won two golds, and a silver award. Almost sold out on my visit, so it wasn’t available for tasting. “There is some tough competition in the Australian Sparkling space, so it really is an honour to have won this award, as a Western Australian winery, not famed for their sparkling, it is a fantastic achievement.” — Chief Wine Maker, Janice McDonald. 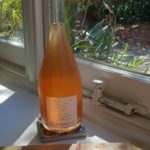 Howard Park Jete Rose – 100% Pinot Noir, 18 months on lees. Mid-palate berry fruit provide richness and freshness, very dry finish. Grand Jete 2013 – 55% Chardonnay, 45% Pinot Noir. The blend varies depending on the best grapes for that year. It has been a Blanc de Blancs before. The first vintage was in 2009, and there are plans to release a vintage each year, depending on the harvest. This was fresh and fruity, with complexity through mid to full palate. Pascal, Marchand and Burch. Limited vintage created in collaboration with the French champagne house. The Australian collection is made here under direction of Pascal. For the French collection, the fruit is sourced locally by Pascal to create the Marchand and Burch range. Franck Bonville Champagne is also imported and sold here. I queried why, as there was not a winemaking collaboration – “because it is awesome”, that’s what they told me at the Cellar Door! It wasn’t available for tasting, so for now, I will take their word. There is no restaurant here, but Howard Park hosts festivals where catering is brought in. 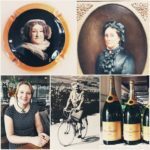 December is ‘Bubbles and Blooms’, January ‘Oysters and Revelry’, February for Chinese New Year, Asian street food, and they also create a pop-up restaurant on some weekends. I suggest that you check their website for events before visiting. I asked about availability to purchase their wines on the East Coast, and they told me that there is limited distribution. If you are keen to try any of the range, either visit the Cellar Door or order online. Leeuwin has a great heritage in the region, being one of the first vineyards established in 1969. This is the site of the great Leeuwin Estate concerts. As you approach the entrance of the Cellar Door, you can see posters from the legacy of this great event, as well as the stage set overlooking the lawn, providing an inkling of the excitement of being at a concert here. Artwork is also a feature of this estate through their Art Series labels, which features paintings commissioned from leading contemporary Australian Artists. You can visit the art gallery onsite, which shows these wonderful works. It is worth spending time to explore. I didn’t dine here, but the menu at the restaurant looked nice and afforded views over the lawn to the concert stage. I tasted the 2014 Brut Pinot Noir Chardonnay, with 60% Pinot Noir. It has spent some time in French Oak before bottle fermented – three years on lees. Oyster shell, lemon, lime and apple on the palate, bright and racy mouth feel with a dry finish. Great aperitif style. Wow, what a sense of arrival! The estate is the vision of the founder Michael Wright. Built in the style of Cape Dutch architecture with stunning gardens, with spectacular Wine Room and Restaurant. The biggest Australian flag in the Southern Hemisphere flies from the flag pole to greet you as you enter. “Inviting everyone to come and enjoy a glass with us in Margaret River. The perfect combination of food, wine and the warmth of family and friends is what a visit to Voyager Estate is about … every feature of the Estate is designed to give you an inspirational experience.” The estate is still family-owned, with Michael’s two daughters taking over the reins since his passing in 2012 – continuing the direction of style as their father did. I tasted the 2015 Blanc de Blancs, which had a lovely nose, small bead and creamy texture with citrus featured. It is limited release and small batch. I thought it was delightful, but was disappointed to hear that the 2015 will be the last vintage as they will now only produce the Project Sparkling Chenin Blanc, which I also tasted, dry finish with a fruity mid palate. I am not totally converted to the Chenin Blanc. I did prefer the Chardonnay. Allow some time for a visit here. The estate is very big, and I spent time just sitting and looking out over the rose garden and kitchen garden that look out over the lawns to the vineyard. They have guided tours, a private tasting room, daily tour of the estate, which includes a walk through the vineyard, learn about tending the vines, show through the winery and barrel room as well as the biggest underground cellar in Australia. Tastings are available at the Cellar Door, and there are also sommelier-created wine flights, cheese and charcuturie platters, and a restaurant serving a degustation menu as well as High Teas on the weekend. Most of these need to be pre-booked which you can do online. Great looking venue, but I didn’t stay to taste. As is the case with some Cellar Doors, they didn’t have their sparkling available for tasting. I assume that you can order it by the glass in the onsite café or restaurant. They do have one sparkling, which I had tasted previously at my hotel. It is the Blanc de Blancs 2013 – 100% Chardonnay grown on their estate vineyard. Produced as an aperitif style of sparkling using the ‘Méthode Traditionnelle’. Yes, I did have Olivia’s tune ringing in my ears as I drove the along the driveway through the vineyards into Xanadu. I had visited here before, many years ago, but the Cellar Door was in a shed at the time. The sense of arrival now was something a bit more spectacular, with architect-designed visitor facilities of the Cellar Door and open plan restaurant looking out onto a ‘chill out’ courtyard, where people were lazing in the sun, sitting on bean bags and sipping wine. I did think that perhaps I had arrived in Xanadu. The staff were great, and everyone was so friendly and helpful. They told me the story of how the vineyard was given its name. When the eccentric Irishman Dr John Lagan, who loved poems and literature, settled here with his wife Eithne, to establish one of the region’s earliest vineyards (1977). Dr Lagan said that he had found the land of paradise, an idyllic setting, where there are now 65 hectares of vines, and he called it Xanadu. The winery has since experienced some transition in ownership. It was publicly listed, but is now privately owned by the Rathbone family. Successful winemakers and owners of other great Cellar Doors (think Yering Station, Yarrabank and Mount Langi Ghiran), the Rathbone family looked to expand into Margaret River. The potential of Xanadu was recognised by them as having the combination of great viticulture, great wine making facilities and great tourism facilities. At the Cellar Door, I tasted the Xanadu 2014 ‘Methode Traditionelle’ Brut, which was delightful. It is 100% Chardonnay with a very low dosage, it is almost what is called a Brut Nature. It has spent some time in oak barrel, and then three years on lees. All made onsite, hand-picked, small batch. The palate had some citrus and brioche. I made this my lunch stop and this was a perfect food match with the Soft Crab Corn Fritters. The only disappointment is that due to the small production, it has since run out of stock and no longer available to taste at the Cellar Door. The next bubbly release will be the 2016 vintage, due for release in 2019. Don’t despair, bubbles are still served in the restaurant. The advantage of being part of the Rathbone group, is that there is always wine of good pedigree on hand! Another delightful bubbles, the 2012 Yarrabank Cuvee Brut ‘Methode Traditionnelle’, which is made through a joint venture between Champagne Devaux and the Rathbone’s Yering Station in the Yarra Valley, is currently being served until the next vintage of Xanadu is available. The scenic driveway off Caves Road winds through farmland and native forest, bringing you to the lovely Cellar Door and café with an outlook over the vineyard. One sparkling on tasting here. 2014 Streicker Blanc de Blancs – Sonja the Cellar Door manager told me that it was “frightfully easy to drink”, and she was right. It is made in the traditional method with two years on lees. Lemon zest, granny smith apple and a bit of brioche and toasted nuts. Lovely building, this is a smaller Cellar Door, with no café onsite. It is family-owned, and the staff told me that one of the loveliest ways to experience the wines here is to enjoy a picnic under the leafy trees on the front lawn, or take a seat in the Cellar Door with a glass of bubbles and enjoy the atmosphere. They only make vintage bubbles, and I tasted the Fermoy 2013 Pinot Noir Chardonnay. Pinot Noir led at 60%. Small parcel, hand-pruned, hand-picked from Pemberton Region, which is bottle fermented in the traditional method and aged on lees for four years. It was a lovely bubbly, characters of creamy lemon, brioche and toasted nuts with a delicate and persistent bead. Their Margaret River Cellar Door is much smaller than the one in the Swan Valley, and this one sits in the middle of a beautiful country garden surrounded by grape vines. There are picnic tables under a covered pergola and free BBQ facilities. There are also a variety of local artwork, wine accessories and Sandalford merchandise available for purchase. 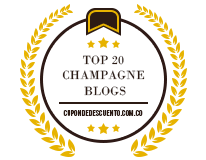 I tasted the Sandalfords NV Sparkling, which is a blend of Chardonnay and Pinot Noir. Only available at Cellar Door, crisp, lemon, zesty with a creaminess from time on lees. This is a small Cellar Door, a little off the beaten track. We were very lucky to receive a bit of a behind the scenes tour here. Harvest was underway for some varieties, and we watched some whole batch Zinfandel being crushed. The winemaker told us that it was an experiment to try to make sparkling Zinfandel. Not sure how that is progressing, but we did taste the 2017 Cremant de Grace – Sparkling Chenin Blanc, which had hints of lemon meringue, a touch of citrus peel, and finishes with a beautiful lemon/lime acidity. Harmans Estate is a family-run, premier small-batch winery. They explained to me that they are one of a few wineries in the region who processes, produces, bottles and labels all onsite, ensuring the integrity and heart and soul of Harmans is in every bottle. One of the specialities is wine distilled into pure, smooth high-proof spirit (Pisco). I didn’t try it, but I did taste the 2013 Sparkling Pink Pinot Noir – crafted from 100% Pinot Noir, 36 months on lees, strawberries, raspberries, with layers of marmalade and spicy fruits. This is a small Cellar Door, of rammed earth structure with a rural outlook. There is no restaurant onsite, so it is only a tasting stop, but there are some picnic tables that you could make use of and a lawn that kids could run and play on if you had the family in tow. A small selection of local cheese and produce is available to purchase, and ‘make your own’ platters to enjoy with a glass of wine, or you are welcome to bring your own picnic. Their sparkling is called Diamondtina (the diamond of the range). The staff were very friendly and talked me through the range. I tasted the 2006, which is 70% Pinot Noir and 30% Chardonnay. It has spent eight years on lees (which is a long time for an Aussie sparkling). It is their museum release with limited stock. The staff explained that the Cellar Door used to be much further south in Denmark, and has recently moved to Margaret River. The Pinot Noir is single vineyard from the owners’ family property in Frankland River, which is cooler climate and much better for Pinot Noir. Also available was the Diamondtina 2008, which is the same blend and has spent six years on lees, with hints of French Oak. There is also the Diamondtina NV sparkling Rose, which is the same blend, but has spent three hours on skins to give the pink colour. Fruity with a dry finish. Not too complex, an easy drinking wine. Jessica was very happy that the new Firetail Sparkling had just arrived. It is a Blanc de Blancs made from 100 % chardonnay, which is from a friend’s vineyard. A portion of the base wine was fermented in French Oak barrels before secondary fermentation in the bottle in the traditional method. The wine was aged for 30 months on lees before disgorging in February 2018. At the Berry Farm, I discovered wine made from a different kind of fruit – berries. The helpful Cellar Door staff arranged for Mike the winemaker to come and have a chat with me, and guide me through the tastings on offer. I discovered that fruit wine can be made from virtually any plant matter that can be fermented. Most fruits and berries have the potential to produce wine. There are a number of methods of extracting flavour and juice from the fruits or plants being used, pressing the juice, stewing and fermenting the pulp of the fruits are common, however few foods other than grapes have the balanced quantities of sugar, acid, tannin, nutritive salts for yeast feeding and water to naturally produce a stable, drinkable wine, so these products require the addition or sugar or honey to make them palatable and to increase the alcoholic content (sugar is converted to alcohol in the fermentation). I tasted Strawberry, Passionfruit, and ‘Tickled Pink’, which was a blend of lemon and elderberry. I do think that it is an acquired taste. I don’t think I was converted, as they are very rich and mostly sweet. I can see though that there would be a market. “I don’t think there is a fruit I haven’t tried fermenting”, said Mike. He mentioned that the best food matches would be spicy food (yes, a sweeter wine works better with spice), dessert or a bubbly breakfast. I moved onto a coffee from the café before setting off. It was a nice impromptu stop for me. It is a good family-friendly place, with a kids adventure playground, café, produce shop and (fruity) Cellar Door. Small family-owned Cellar Door, with no vineyard, but yes, flametrees that greet you at the entrance, as well as featured on the label. I may have had the Cold Chisel tune ringing in my ears whilst tasting. Lovely light flows through large windows into the Cellar Door, with views out to the open lawn to relax at a picnic table for a tasting, and space for kids to play. Food selection is platters, with local cheese and produce. I tried the Blanc de Blancs, which has been aged for three years and the NV, which is 30% Pinot Noir, 70% Chardonnay. The winemaker here was previously the winemaker at Voyager Estate. Rustic is not quite the word, but the Cellar Door reminded me a little of the Ettamogah pub. With a name like Mongrel Creek, what does one expect? The owner, Larry has a no BS approach, and told me that as a small family-owned winery, their primary focus is on producing quality wine at an affordable price. The bubbles on offer were the 2012 Le Mongrel Sparkling, which is 100% Chenin Blanc, which had been aged for five years, and Le Mongrel Sparkling Rouge – aged for two years, which is 100% Cab Sav. These are usually released in small batches of 1,096 at a time. Another small family-run Cellar Door. Established in 2011 by a young couple Travis and Elizabeth Wray. Travis is the winemaker and Elizabeth takes care of the marketing. Their young family also feature on their website. The attention to detail here is remarkable, hand-made neck tags and hand-made labels on the bottles. We visited as part of bubbles tour, and they had kindly arranged for a Queen Bee Magnum to be opened for our visit. We tasted the 2015 Queen Bee Vintage Magnum, which has spent two and a half years on lees, single vineyard Blanc de Blancs, citrus and creamy. As this is a magnum, this one could be cellared for longer to bring out more complexity in the wine. We also tasted the 2015 Blanc de Blancs Queen of Diamonds, three years on lees, green apples, pears and buttered toast dominate the aromatics. The Cellar Door also features a great range of art and jewellery by local and Australian artists. For food, the nearby Chow’s Table provides traditional Chinese/Malay cuisine with a modern twist, overlooking the vineyard, and Gabriel’s Chocolates is also in this corner of Caves Road, so you might allow some time to explore here. This is a small family-owned and operated business, just over the road from House of Cards. Walk-ins are fine, but they do ask that advance bookings are made for groups of six or more people. They have won the Gourmet Traveller Small Cellar Door award for the past three years. This is not just single vineyard production, but it is a single person vineyard. Chris, the owner, has worked the vineyard completely on his own from day one, which he says is the only way to meet the high standards he sets for himself. He spends the vast majority of his time in the vineyard. He knows it like the back of his own hand, hand-pruning every single one of the vines himself, year after year. I tasted the 2016 Mousseux – 100% Chenin Blanc made in the traditional method. The residual sugar after dosage is minimal, so it is predominantly fresh green apple aromas, zesty citrus notes. This is an elegant sparkling wine, delicate fine bead and smooth creamy texture with a refreshing clean finish. With my preference for a Champagne style, I hadn’t been convinced with the trend in Margaret River for a sparkling Chenin Blanc, however this one did convince me. Definitely worth a tasting. Family-owned, four generations of the Credaro family, a pioneering family to the region, first settling in Margaret River in 1922 after migrating from Northern Italy. Initially involved in farming and the timber industry, small plots of vines were planted to provide the family with table wine. 2013 Vintage Sparkling – 85% Chardonnay, 15% Pinot Noir. All grapes sourced from the family vineyards in Margaret River, within a 50km radius. Made in the Traditional Method, this sparkling wine has delicate aromas of spiced apple and grilled nuts with subtle yeast characters. The palate is finely structured with layers of citrus, brioche and white peach. This Cellar Door doesn’t have food, but they can do catered events. They did have a small selection of boutique clothing and homewares available for sale, so you can tie in shopping with your bubbles tasting. The terrace is the perfect spot to enjoy some bubbles with lovely rural views. Family, Heritage and a passion for great wine – is the tagline here. I tasted the 2016 Glen Valley Blanc de Blancs – apple, sherbert, citrus – traditional method, 15 months on lees. Fresh, vibrant with crisp finish. 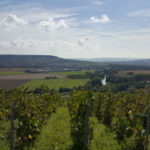 The Chardonnay is sourced from Wilyabrup, which means ‘place of water’. This family-owned vineyard has a new Cellar Door. They explained that they are in generational transition from Father to daughter Billie, and the son-in-law Michale (with French winemaking experience), is the winemaker. The focus is on producing quality wines, whilst incorporating sustainable land management and environmentally-friendly viticultural practices. I would like to acknowledge Mark from Margaret River Bubbles Tour and Margaret River Tourism for providing assistance with this trip. Margaret River Tourism will now feature this blog as their information on Margaret River Sparkling Cellar Doors.